A good afternoon to you. This could be literally a cracker or how I have interpreted it as a cracker of a card! 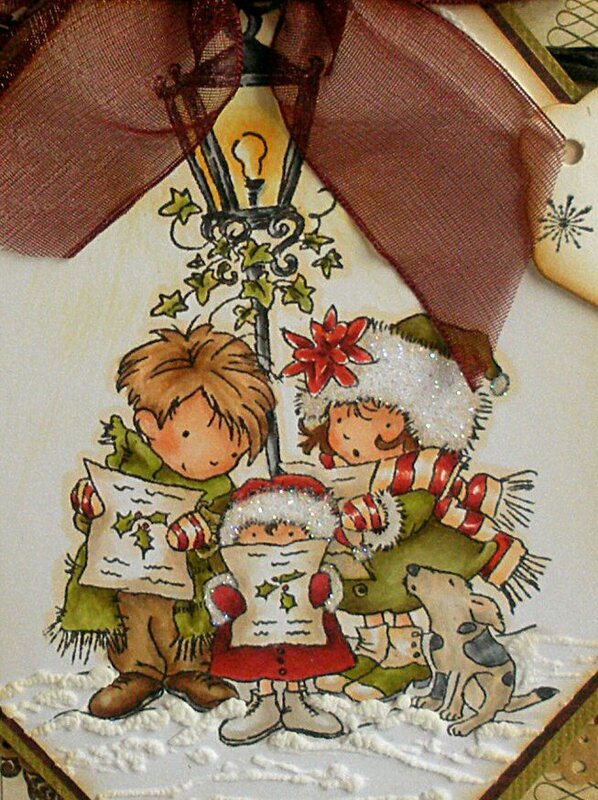 I have used a beautiful image by Lili of the Valley called "Carol Singers" and teamed it up with my new papers from My Minds Eye - Lost & Found Christmas. I think the card looks like a present with the bow at the top. As always I have used Copics to colour the image. Yellows - Y00, Y21 & ? I also added glitter to the hats and snow. Embellishments - Organza ribbon, wire coated in black paper, flower brad, small tag and a sentiment from Kanban. This card has been made for a commission I had for 5 cards. I haven't started my christmas cards as yet and time is running out! I hope you can join us this week. Oh this is cute Jenny and I love your EAC card! 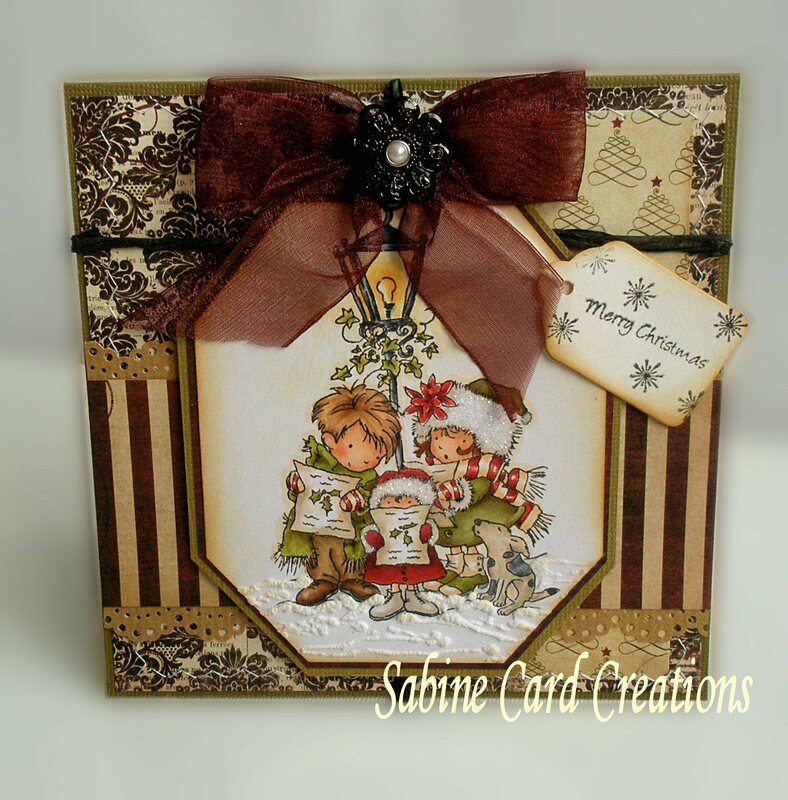 Beautiful card, i love the somewhat vintage feel that it has. Hi Jenny, just popped by to say hello and thank you for commenting on my PT challenge card. Hi Jenny, this is a gorgeous card - I love everything about it. Sorry to miss you at the copic club - hope to see you next time.